I have been frying my hair practically my whole life, trying to get it to curl. 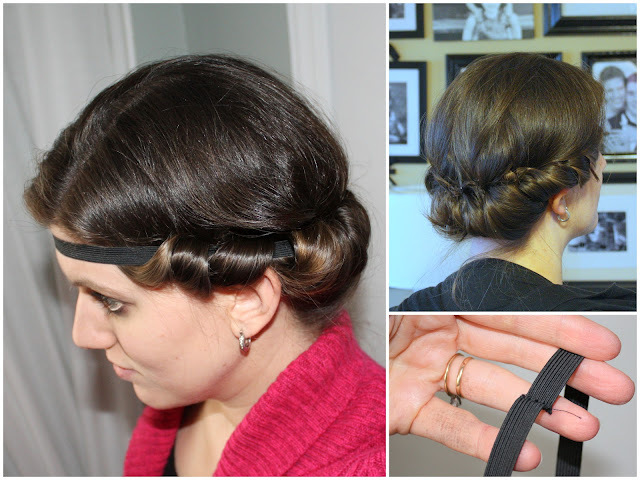 I've used hot rollers, and those bendy-rod spiral curlers (that you have to burn your fingers to use!) and of course a myriad of curling irons. And guess what? None of them last very long at all unless my hair is LOADED with goo and hairspray. So much so that it's all sticky and heavy and you can't touch it for fear it will all fall out. You know, move one lock of hair and it all moves together?? Yuck. And it takes so much time, especially with a curling iron. Then I heard of Headband Curls. WHAT?? Curl my head with an elastic headband? Yeah right. I was so sure this was going to be a fail because my hair just is not very cooperative in the curling department! Well, I watched this video from YouTube to see how to do it. It gave the easy step-by-step directions and it looked like she had great results. Still, I was pretty skeptical that it would work for me. I washed my hair and dried it until it was barely damp, basically almost completely dry. Then put some goo in my hair (curling mousse by got2b) and then wrapped it up like the video shows. About my headband....I made it from a piece of elastic that I had. (Just wrap some elastic around your head, mark it and sew the ends together, just like when I made the baby headbands for Lucy.) I was obviously in a hurry when I made this because the ends of mine are not even! Oh well, it works just fine! I just went about my morning routine looking crazy like this and then took it down three hours later. WOW! It worked!! My hair was curly and it was nice curls, not "little girl" curls like when you use hot rollers or even sponge curlers. The other night I even slept with it all wrapped up because I wasn't going to have time in the morning to let it sit. The curls were much tighter, and I was freaked out, but they relaxed pretty quickly. If I had not put any goo in my hair that time, I think it would have been perfect. Know what's even better? These curls stay put for more TWO days! Really! I had Lydia snap this quick pic the other day. On the second day they are just more full and relaxed. 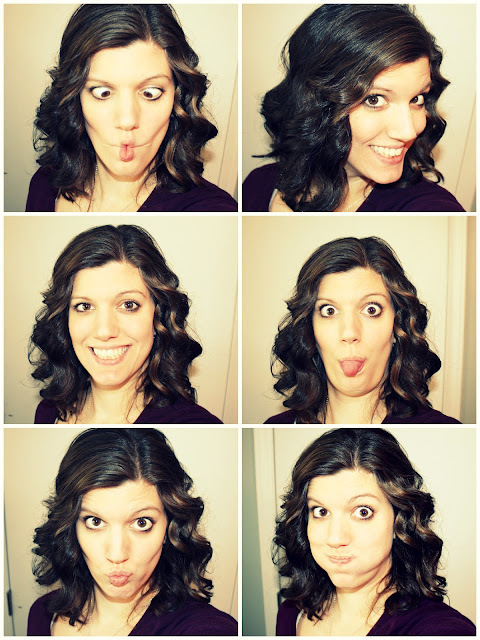 I'm beyond thrilled that the "Headband Curls" experiment was a success! And this is definitely my favorite way to style my hair now! LOVE it!! *Update*: Just wanted to add a few tips that I have found work for me, since I've been doing this pretty much ALL the time now! If you've tried it once and it didn't work so great, go ahead a try again...I'm learning the more I tweak mine, the better the results! 1) Pin it! (no not pinterest pinning...although we all love pinterest, now don't we?) I use a lot of bobby pins in mine. I have a lot of layers in my hair so I pin as I go just to keep them from coming loose. Definitely helps get consistent results. 2) Hold the hair goo...I have found that putting the curling mousse in my hair after my hair is almost completely dry works the best. For some reason if I put it in my hair wet and then dry my hair I do not get good results. 3) Wider is Better...Using a super skinny store-bought headband didn't work that well for me. Using a wider headband (like the elastic one I made) really works much better! 4) Chill Out! Give you hair time to relax after you've taken the headband out. Especially if you wore it over night! If I'm just wearing it around the house for a few hours in the morning, it's usually just fine to take it out, fix it a little and go. BUT, if I've worn the headband over night, I need at least an hour to let them relax. So....whatcha think? 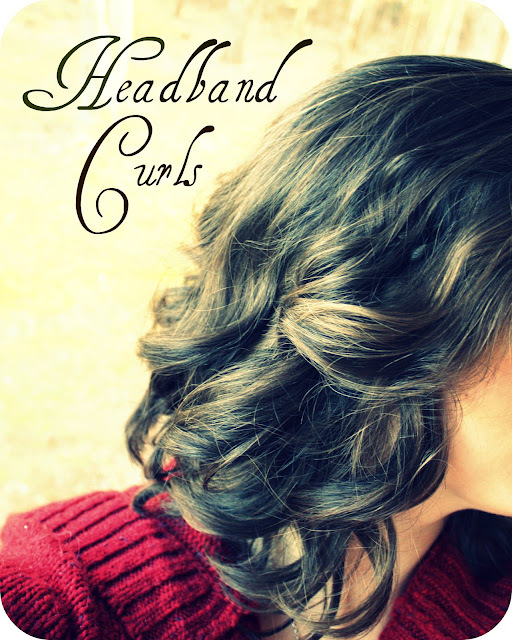 Are you gonna experiment with headband curls?? If you do, I would love to know how it worked for you! I just tried this the other day, but mine did not work as beautifully as yours! :( Yours look amazing, so I might be inspired to try it again. I had watched the video a few weeks ago, so I couldn't remember all the instructions, and just kind of was winging it. Maybe I had the wrong technique? I know I didn't dry it almost completely... mine was pretty wet. I did this a few weeks ago and loved it!! I should try mousse though..maybe mine would stay for 2 days instead of one! actually, I've done it twice-- first time was perfect, second time, my hair was too wet, so it didn't hold. Note: If you have really, really thick hair, like mine, make sure it's just slightly damp! Great tips! Mine is super thick as well so mine has to be barely damp. Glad you love it as well! Doesn't the headband leave a ring around your hair where it was?? Or is it not that tight? Because when I wear a headband I always seem to have this problem? Doesn't the headband leave a crease in your hair where it was? Or is it not tight enough? Because I always seem to have this problem when I wear a headband!! Wow, nice! An idea I'm betting my daughters will love. Um. Genius! Thanks so much for sharing! I will give this a try asap. I'm tired of spending so much time on my hair! Here from Pickett Fence. Would you please share this on my blog.... PLEASE?!?! Can't wait to try this! I've never had any luck with curls, either. Even perms didn't hold in my hair. We shall see! Oh, so nice! I want to give it a try when my hair gets a little longer! Will you, pretty please, consider sharing with my readers at http://sassafrassalvation.blogspot.com/2012/02/sasss-sunday-salvation-show-12.html ? I do this on my daughter's hair & works like a charm! LOVE IT! Saturday night bath/shower then headband when it's damp & in the morning they have cute curls for 8am church Sun morning (or school, whatever). Okay, I've never seen/heard of this before, but what a great idea! It turned out beautifully too! 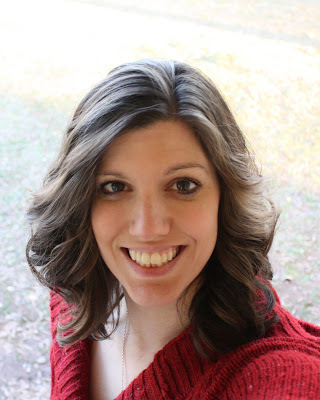 Thanks so much for linking up with Feature Friday FREE-FOR-ALL! Your curls looks great! Thanks for sharing! Your hair looks great. I think sleeping with the headband on is where I went wrong. I am not a still sleeper and my hair was probably a little too wet. You have inspired me to try again, this time with your tips. Yayy...I have way long hair so the pin thing is probably a good idea... I AM SO EXITED TO TRY THIS...curlers and curling iron curls last maybe an hour and i don't have thick hair (anymore, sad:()...thanks for all of your tips and the idea in general! totally didn't work for me the first time. But maybe I need to try again with a wider elastic? I tried this last night. I guess I nwed to try with the bobby pins bc the headband kept luftingvup on my head & nearly fell off overnight. And my hair started to unravel... must have been the shorter layers. Even thoygh all of this happened it still looked oretty good! How did you get the back to look so good?? The sides looked amazing when I did it, but the back looks nasty.. Any suggestions? ya lo conocía ese método y queda muy bien el resultado pero todavía no me he puesto un día a hacerlo.besos! This also works with a rolled up long sock. ( same concept) You put damp hair in a ponytail high on your head, then with rolled up sock (you cut the toe part out of sock then roll) you start at end of hair and roll into sock until you have a bun on top of your head. There are videos on utube. Just incase anyone wants to try but dont have elastic on hand. Will have to try the elastic band idea. FYI there are also u tube videos on using a long sock to get the same results. For those that dont have elastic readily available but may have that one sock u cant find the match to...here is an alternative. I've tried it a couple of times with the crazy, frizzy, tight curls. I think I'll try again using some of your tips! I've also tried it with a wide (folded in half) knit headband, so maybe I should try the elastic instead. I tried this at first with it rolled up as you showed it but did not like the effect then I tried it rolled under and like that affect a lot better. Also the first time the headband was too tight and gave me a headache, but I now have the right headband and like the effect a lot better. I have passed this on to a lot of my friends and family. Hi! I tried this and it looks so pretty! Thanks for the tips! A trick for when you are buzy! Your hair needs to be dry. You roll it up. Take your hairdryer and heat up the roll. Wait for it to get cold, and voila!! Just got done wrapping my hair out!!! Time to go to bed and will see the results tomorrow? Is it ok to have bobby pins in ur hair to get it to hold??? This is a while later, but a hair net could work?